The Fourth Amendment to the United States Constitution, which is part of the Bill of Rights, guards against unreasonable searches and seizures. In general, a search and seizure of a person or his property requires a search warrant based upon probable cause. The search warrant requirement is intended to avoid random/abusive searches by government officials. However, in Michigan, the police are not required to obtain a search warrant and probable cause is not required for property which is in “plain view” or when a person “consents” to a search. Whenever a search can occur without the element of probable cause, there is room for abuse by law enforcement. 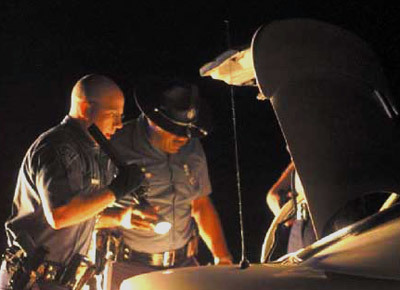 Plain view or consent searches can be made when probable cause does not exist and allow the police to avoid delays and formalities with the search warrant process. In addition, ” there are rarely any legal grounds to contest search based upon plain view or consent. Plain View: Objects which are in plain view of an officer who has a right to be in that position are subject to seizure without a warrant and without probable cause, or his lawful observations may provide grounds for issuance of a search warrant. Consent Searches: A person who gives a valid consent to a police officer to search his home or vehicle, may be waiving his 4th Amendment rights. The consent must be given voluntarily and courts must determine on the basis of the totality of the circumstances whether consent has been freely given or has been coerced. Our Macomb County criminal defense lawyers have been able to defeat improper searches if the consent was obtained by threats or coercion or if the traffic stop was random or pretextual. Our position in such situations is that if the initial intrusion is invalid; anything that is seized becomes inadmissible under the “fruit of the poisonous tree” doctrine. The prosecuting attorney has the burden to establish the validity of the intrusion and the voluntariness of the consent by direct and positive evidence. When a client is charged with a crime, it is our function to scrutinize the facts and apply the law which may weaken the case, promote a favorable plea bargain or lead to an outright dismissal. When the police conduct a search, we may argue that the search was invalid because a valid consent was not obtained or that the items seized were not in plain view. We advise our clients to refrain from talking to the police. Law enforcement officers will use special interrogation tactics to gain confessions and admissions which can be used to establish guilt when the evidence is unsubstantial. Our goals in every criminal case is to avoid a conviction and avoid jail.